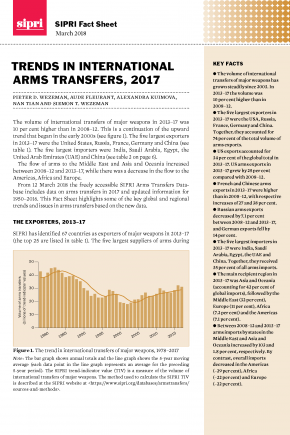 SIPRI launched new data on international arms transfers. 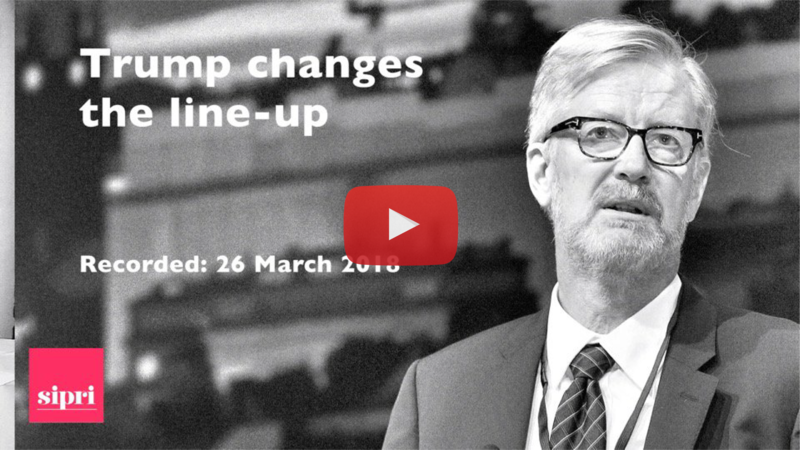 The report showed that the upward trend that began in the early 2000s has continued and the volume of international transfers of major weapons in 2013–17 was 10 per cent higher than in 2008–12. 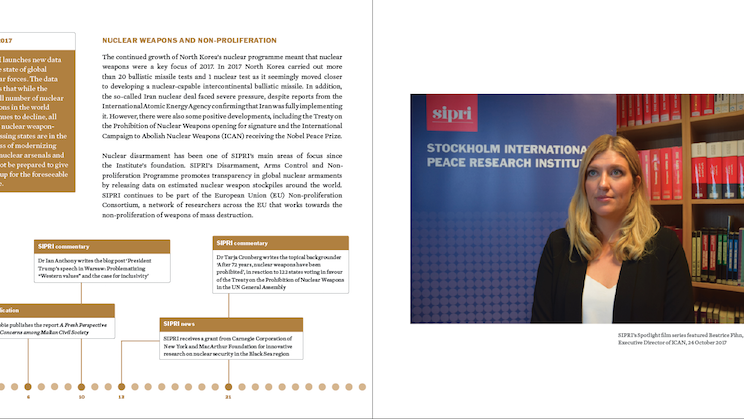 SIPRI released Annual Review 2017, which looks back on the Institute’s highlights. 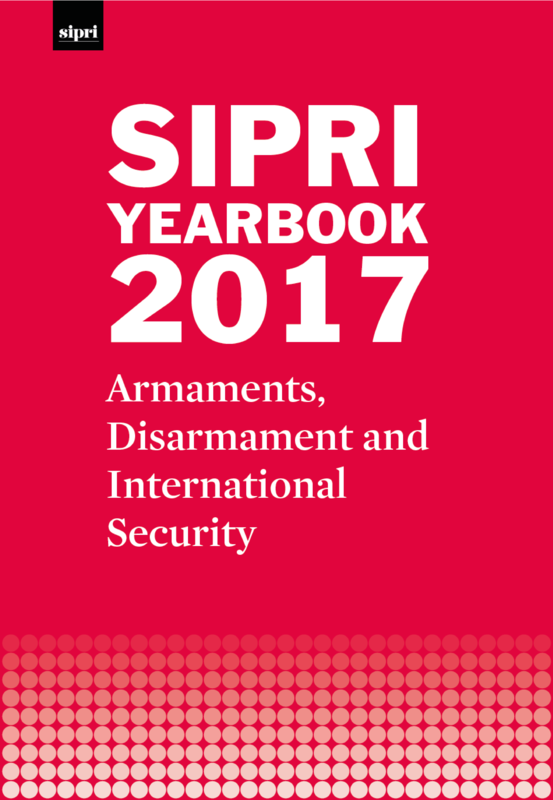 The review covers SIPRI’s work throughout the past year, including updates to its world-renowned databases and how it has adjusted its research agenda to meet an evolving threat environment. 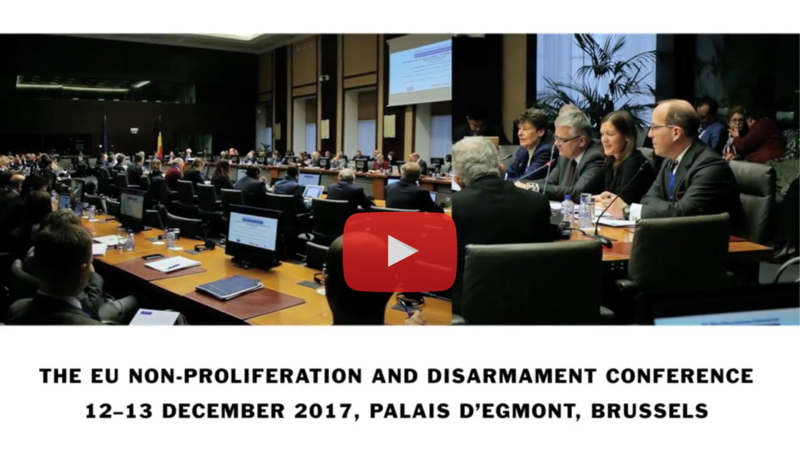 SIPRI is pleased to announce new films from the 6th EU Non-proliferation and Disarmament Conference. 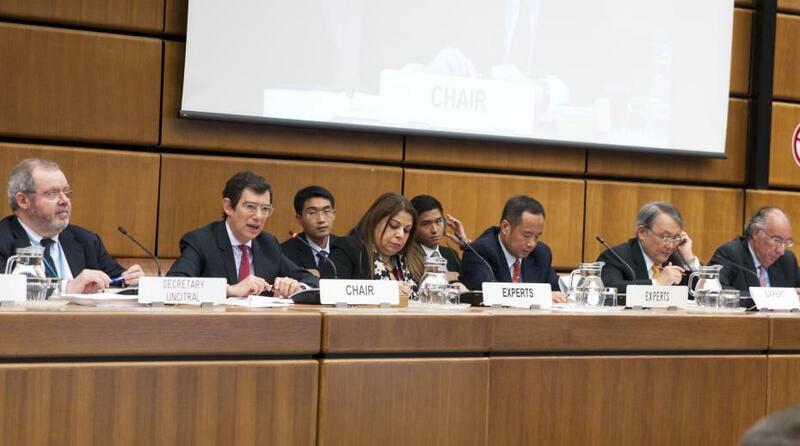 The series gives an overview of the conference and provides a timely update on key non-proliferation challenges, suggestions to overcome them and identifies the relevant actors to help facilitate the change. 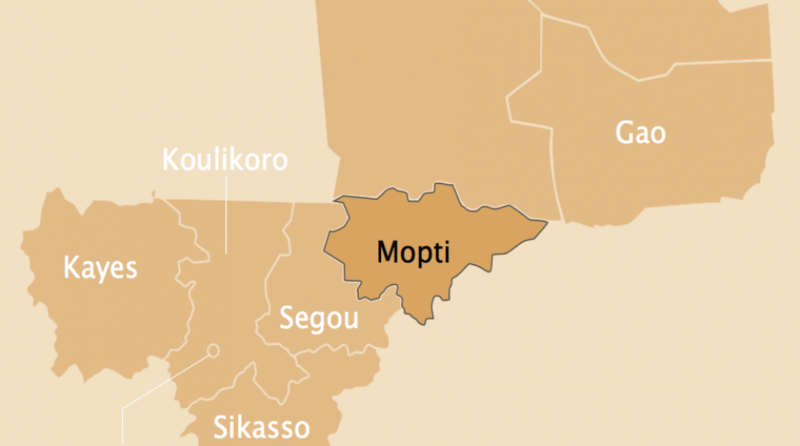 SIPRI published a new report on the ongoing conflict in central Mali. The report explains that without understanding the local perceptions of the conflict’s dynamics, the current or planned interventions in the country have little chance of success. 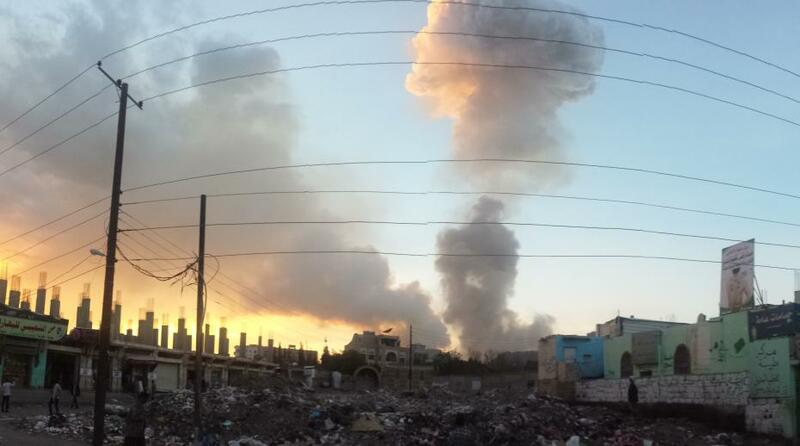 The conflict in Yemen has drawn attention to the contrasting arms export policies of European Union (EU) member states. While there have been many documented attacks against civilians, only some member states have restricted exports and others have allowed exports to increase. In light of this, Mark Bromley and Giovanna Maletta outline the various ways that the EU Common Position on Arms Exports can be strengthened. 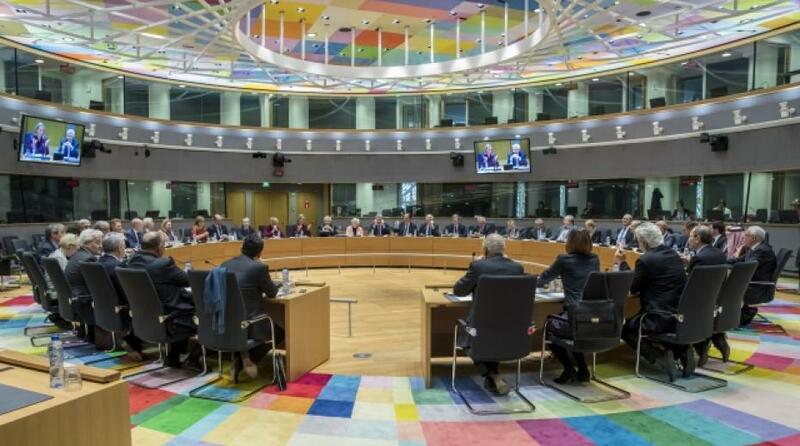 On 26 February 2018 the EU adopted its latest Council Conclusions on Climate Diplomacy following a Council Meeting of Foreign Ministers in Brussels. Dr Niklas Bremberg and Dr Malin Mobjörk consider the greater emphasis that the EU is placing on the need to address and mitigate security risks posed by climate change. There is a common misconception that ‘gender’ is synonymous with ‘women’ rather than relationships between different genders. Emma Bjertén-Günther argues that a conceptual reframing is necessary in order for researchers and civil society leaders to implement an inclusive approach to peacebuilding and development. Since President Trump took office, 43 per cent of top-level positions in the White House have seen turnover. Departures in March alone have included Secretary of State, Rex Tillerson and the replacement of National Security Advisor, H.R. McMaster with John Bolton. Dan Smith reflects on these developments. With the diplomatic clock ticking, Europe must pay urgent attention to how it can encourage the United States not to withdraw from the Joint Comprehensive Plan of Action (JCPOA), while also considering ways to sustain the Iran nuclear deal regardless of US actions. The 2018 Stockholm Forum on Peace and Development will confront the politics of peace by assessing how different policies, processes and tools could be used to overcome political obstacles to build and sustain peace in complex environments. Information about how to register for the public portion of the Forum (7 May) is forthcoming. Attendance for 8–9 May is by invitation only. SIPRI and the Ministry for Foreign Affairs of Sweden will host the international conference ‘Managing complexity: Addressing societal security challenges in the Baltic Sea region’. The conference will discuss how to provide safety for citizens and build effective resilience in the face of various contingencies, ranging from climate change to extremism and major infrastructural disruptions. 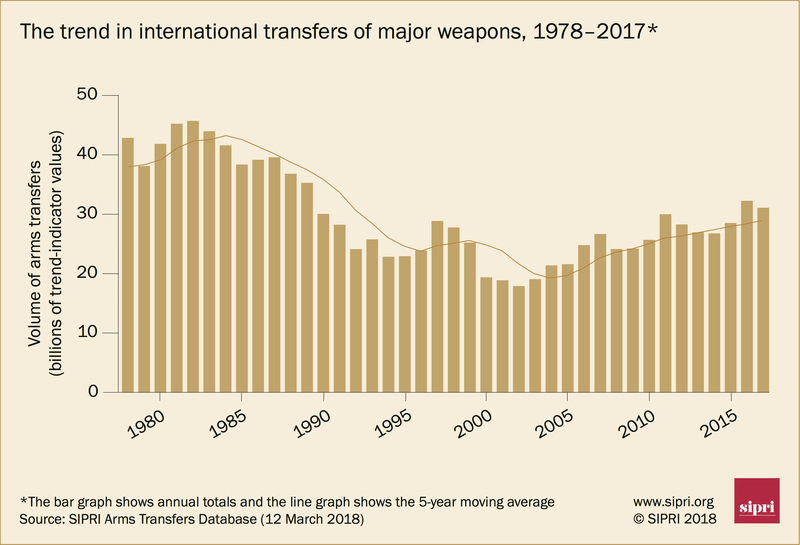 Continuing the upward trend that began in the early 2000s, the volume of international transfers of major weapons in 2013–17 was 10 per cent higher than in 2008–12, according to new data on arms transfers. This Fact Sheet highlights some of the key global and regional trends and issues in arms transfers based on updated data in the SIPRI Arms Transfers Database. Based on key interviews, a literature review and original documentation, this paper discusses the diverging narratives on the origins and drivers of the conflict in central Mali, as well as the interactions between them.